What is the Alter-G Treadmill? The Alter-G treadmill is an anti-gravity treadmill and a revolutionary rehabilitation tool. It allows users to exercise, walk or run at a percentage of their body weight (going as light as only 20% body weight). This minimizes impact and stress on the joints, and allows you to return to exercise earlier and promote a faster recovery. To use the Alter G you must initially book an assessment with our highly trained physiotherapists or podiatrists. This is to teach you the safe protocols of using the machine, and can also design a program for you. If you already have your own program from another practitioner that is fine, however we still need to go through the protocols of using the machine. 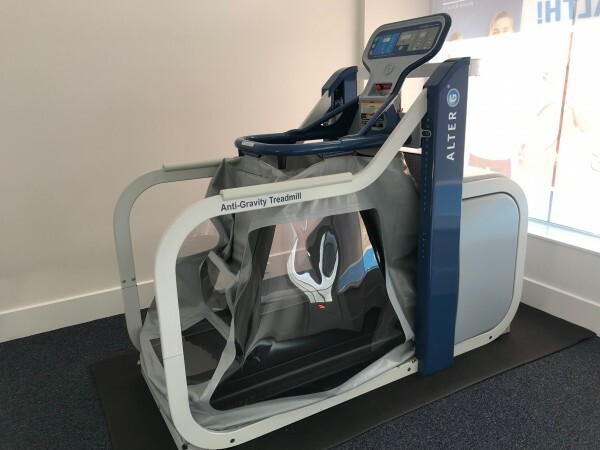 Following an assessment, users then can book 30 or 60 minute sessions on the Alter G – which can be done online for convenience.